60's FOLK REVIVAL: Happy New Year! 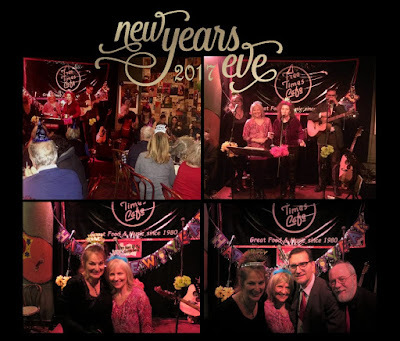 It has taken a couple of days to recoup our energy after a fabulous New Year’s Eve at the Free Times Café. With two shows that included over 50 songs we were a pooped but happy band at the end of the night. There was a nice mix of first timers and regular attendees of our monthly shows. One couple, who live in Detroit had found the show online and made the trip to Toronto by train especially for it! Some first timers learned of the show via one of the many posters that we put up around the city and one attendee said it was the dove image that caught her attention. It evokes that message of Peace that I think attracts us to much of the music from the Folk Revival. Oh, and another cool thing…after we sang MTA, an audience member held up her ‘Charlie Pass’. It’s a metropass issued in Boston in honour of the character in this legendary Kingston Trio song. I’m kicking myself for getting distracted during the break and forgetting to take a photo of it. Going into the evening we were a tiny bit concerned that we'd have the stamina to get through the number of songs we’d be singing throughout the evening but it was no problem at all. In fact we happily played an unplanned-for Encore song at the very end of the night or rather early in the morning! Thanks to Judy Perly, her staff, and everyone who came out and made it such a special night for us. 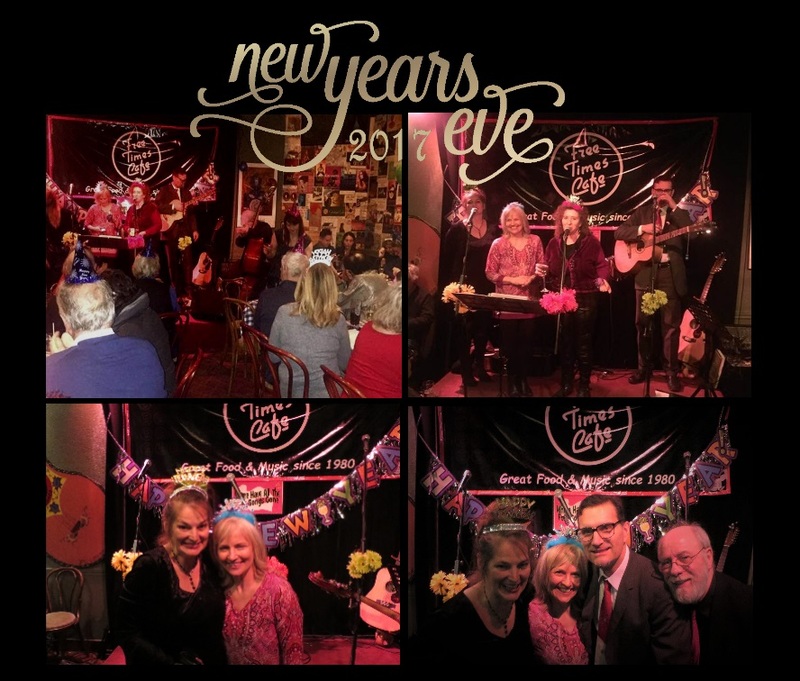 Both audiences were warm and enthusiastic, and we can’t think of a better way to have ushered out 2017 and welcomed 2018!